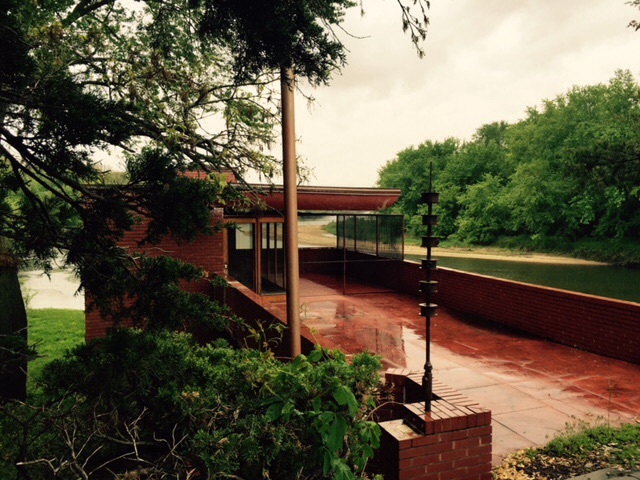 This amazing Usonian house is in Cedar Rock State Park in Iowa. The house and property was donated to the state by the Walters family in a trust to support the home in the future. 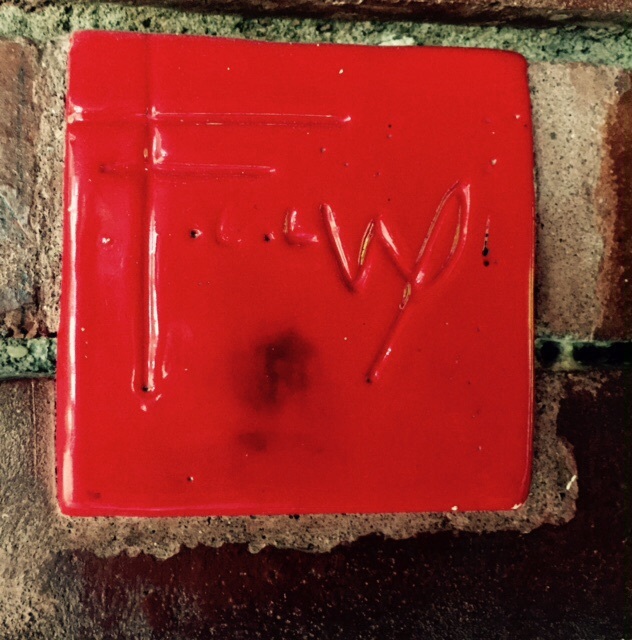 It is a marvelous example of how people lived in these homes and how Wright incorporated design into every portion of the house… I can only imagine how FLW would have marveled at current materials since he was so genius, design wise, with concrete, plywood, and tile. This house was built around 1950 on the “brow” of a hill overlooking a sweeping lawn that sloped to a pastoral river. The picture on the right is of the boathouse, one of only 3 designed by Wright remaining standing today. Because this house design did not include any of Wright’s beloved stain glass windows, most Usonions did not, he incorporated backlighted niches in the interior brick walls that displayed colored slag glass from Corning to add that jewel box effect that enthralled the people who are lucky enough to be invited inside. While you may not appreciate modern architecture, there is always something to be learned from great design and Wright was a master of incorporating form and function into an ethereal cocoon for living.